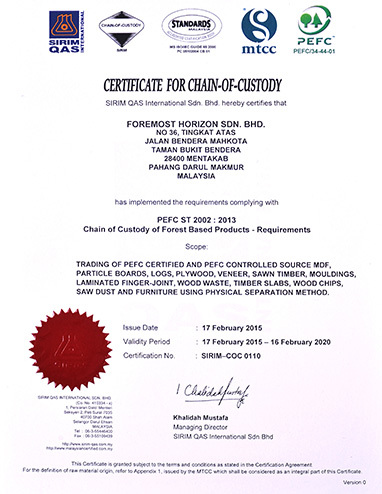 Foremost Horizon Sdn Bhd is a leading Malaysian exporter of high quality, environment friendly forest products ranging from logs, sawn timber, polyester plywood, finger joint, furniture and many more. Our main office is located in Mentakab, Pahang, Malaysia. 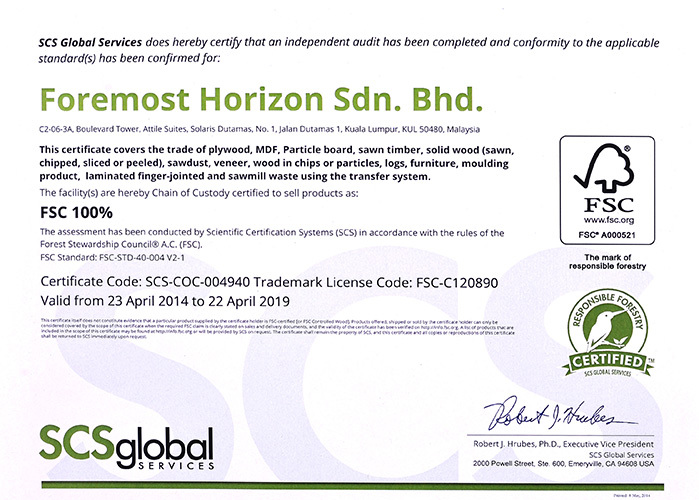 Foremost Horizon Sdn Bhd is able to meet the demands from the global market because we source and process timber ourselves. We ensure on the variety, quality, design and service are always in satisfactory level.